Today’s libraries continue to evolve to remain relevant and function successfully. These days, most library patrons walk into the library with a wide variety of electronic gadgets. In fact, studies have shown that Americans now have an average of 3 mobile devices on them most of the time. Sometimes these devices support people’s library activities. Other times they are just the “basic necessities” of everyday life. However, those devices ALWAYS need power at some point. Thus, the rise of charging stations in public spaces and the need for more outlets in more places. Part of the mission of many of today’s libraries is to support people in the manner in which they want to work. Often this means that access to power is an important consideration in the design of today’s spaces. Until battery life improves dramatically or wireless power becomes available, the distribution of power will continue to be a challenge that will need to be managed creatively. While careful planning is still needed to tap into the available power, the good news is that there are more products than ever that allow for the delivery of power in style. 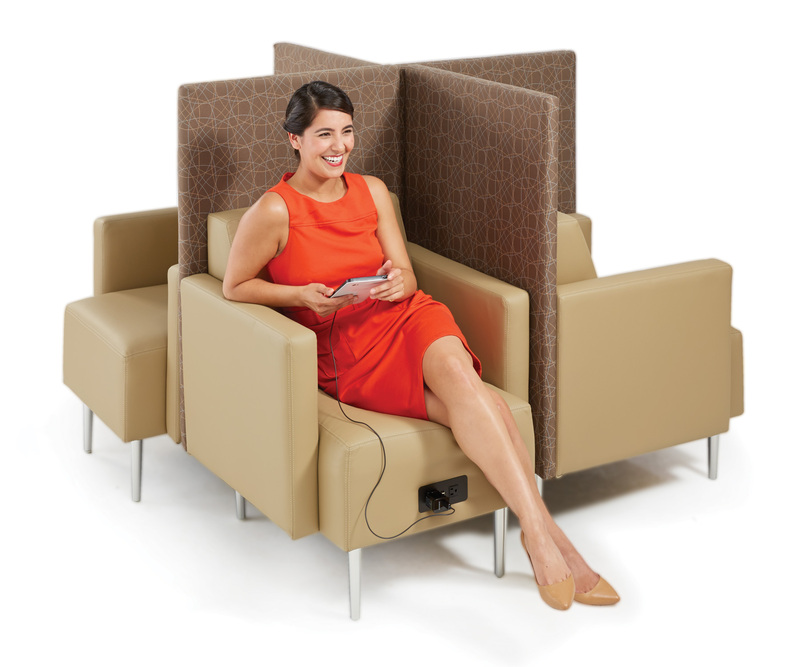 Whether looking at seating, tables or charging stations, there are power access options to fit every aesthetic and budget. In addition, there are now products that allow devices to be secured if users need to leave them to charge for a longer period of time. Take a look through our idea gallery to see how to creatively address power needs in your library.